Wye Marsh offers year round accommodation for small and large groups. 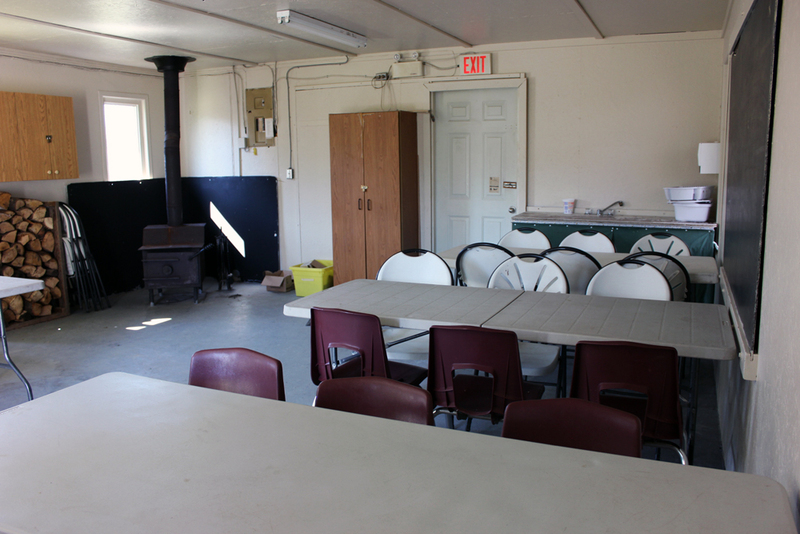 Located just steps from the Interpretive Centre, groups have the use of three bunkhouses (two with bunk beds, one with a kitchen), an outdoor pavilion with picnic tables and a campfire pit with seating. 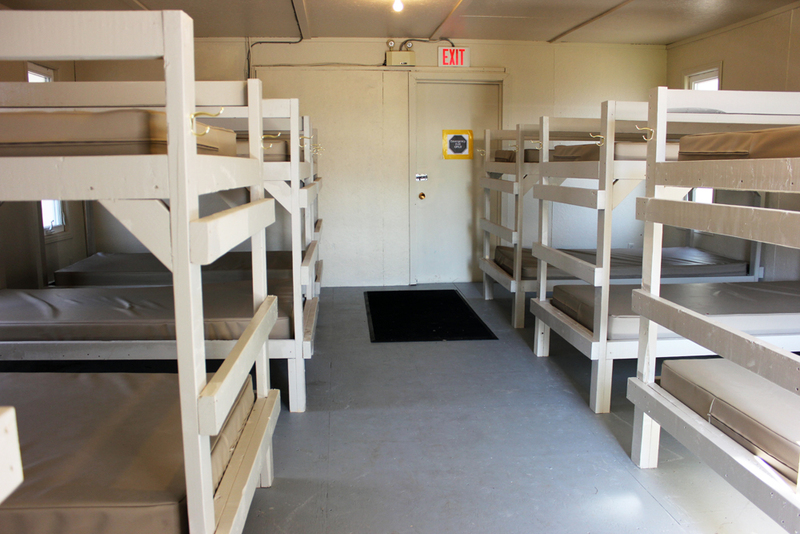 Bunkhouses can accommodate 28 campers, with additional space available for tenting. Located within a 5 minute walk to the Interpretive Centre, groups have the use of a large protected grassed field for tenting and a campfire pit with picnic table seating. There is currently no portable on site. During summer & spring months there is access to a composting toilet. ~ No garbage or food storage facilities/contariners are provided. ~Groups must practice Pack it in-Pack it out & Leave No Trace Principles! 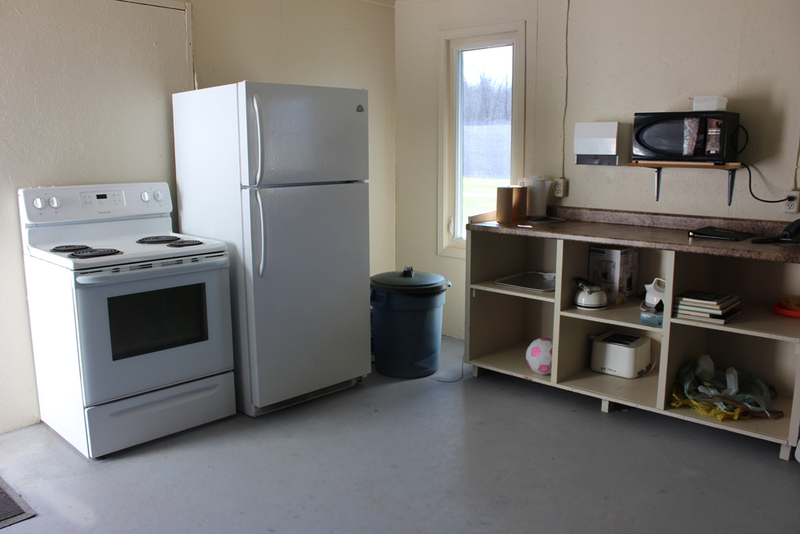 Bunkhouse kitchen is equipped with a fridge, stove, microwave & toaster. Dish bins/dry rack, garbage/recycling bins & broom/dustpan are also provided. For a complete list of 'What to Bring' please review our Overnight Accommodations Information sheet. Please submit the Overnight Booking Request below or contact our Education and Reservations department; jpelletier(at)wyemarsh.com or 705.526.7809 x 205 where we would be happy to assist you with your planning! PLEASE NOTE: All overnight reservations are not confirmed until a $190.00 non-refundable deposit is received.